The Doctors talked to a 48-year-old woman named Jordanna who suffers from severe allergies. She said when her allergies come on, her whole face itches and she can’t breathe. She described the feeling on her skin as being like rolling around in fiberglass. She said that she had a headache for three straight months and she often doesn’t even want to get out of bed. She takes two over-the-counter antihistamines and a nasal spray. Doctors thought she had MS and Lupus at one point. The rheumatologist thought it was Fibromyalgia. She wrote in to The Doctors because she didn’t know what else to do. The Doctors talked to a woman whose odd symptoms were really the result of being allergic to several different things, including grass, wheat, and dust mites. The Doctors thought it might be an allergy, so they sent her to allergist Dr. Danica Schulte. Dr. Schulte gave Jordanna a skin test to see what her allergies were. It turns out she was allergic to many different things, including grass allergies, wheat allergies, cockroaches, and dust mites. Dr. Schulte said that the symptoms were likely caused by the dust mites. Jordanna has spent several days away from her home on the beach spending time at her father’s house. While she’s been away, her skin cleared up and she hasn’t had any symptoms. This definitely means there’s probably something in her house causing the allergies. 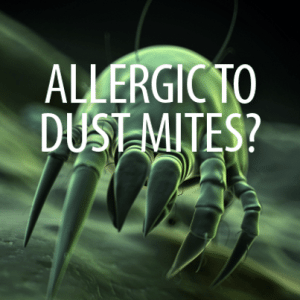 Dr. Travis said that no matter how clean you are, everyone has dust mites in their house. He also said we all have cockroaches in our home, but Dr. Rachael told him that’s definitely not true. Jordanna has dogs and she likes to sleep with them at night. The allergy test showed that she wasn’t allergic to her dogs. However, Dr. Rachael said she should wipe down the dogs before she sleeps with them at night, because the dogs might have dust mites on them, or grass seed, or any number of the things Jordanna is allergic to.